Two suspected terrorists were killed and one was arrested after Russia’s FSB foiled a terror attack in Moscow. The captured militant has been hospitalized with fractures and a gunshot wound, but is reportedly able to talk to investigators. "Our forceful actions prevented an attempted act of terror in the capital," the National Anti-Terror Committee said in a statement. “According to some information, the militants were under surveillance during the past month,” a source from one of the intelligence agencies told RIA Novosti. It was not specified where the terror attack was planned to take place. But, a source in one of Russia’s intelligence agencies told RIA Novosti, it was to be in central Moscow. 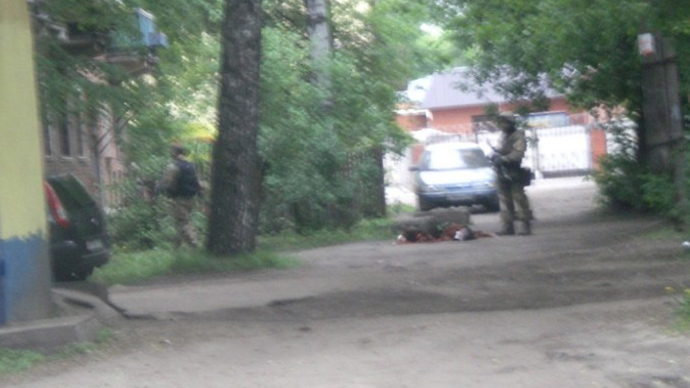 As FSB forces approached the house in a small town in the Moscow region and demanded the suspected militants to surrender, the men opened fire in response. “In the exchange of fire two of them were killed and one detained,” the statement reads. One Special Forces officer has sustained a wound of his leg and was taken to local hospital. There are no casualties or injuries among civilians. One gunman sustained a gunshot wound and fractures after he jumped out of the window when FSB officers arrived. He was hospitalized. His condition is stable, and investigators plan to begin interrogating him in the coming days. "The main task is to get information about possible accomplices in the Moscow region to compare with data obtained during the surveillance operation conducted prior to detention," Interfax quoted its source as saying. 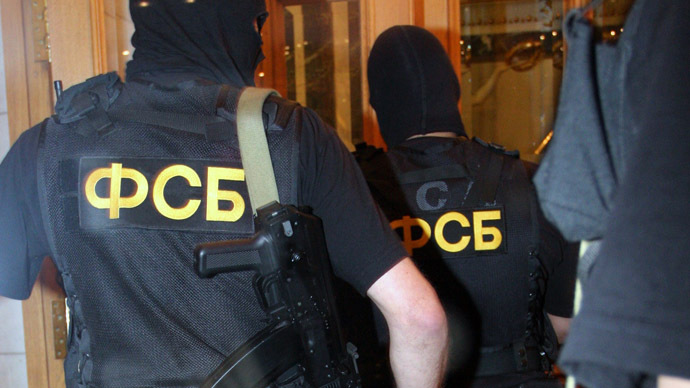 The FSB also seized the militants’ passports: “It is possible that the [passports] are fake… In addition, their fingerprints have been taken, they will be sent on a fingerprint examination,” the source said. Pakistan’s North Waziristan, a tribal region bordering Afghanistan, has been an international flashpoint in the War on Terror, particularly against the Pakistani Taliban. However, the group continues to operate in the region. According to the militants’ neighbors, there was a blast in the apartment building last week, Lifenews tabloid reported. Residents in the apartment adjacent to the one rented by the suspected terrorists believe the incident was a gas explosion. Neither Irada nor her husband called emergency services, but notified a landlord, who said that her tenants were doing renewal. Moscow has seen a number of sporadic terrorist attacks in the past years with the last one taking place in the arrival zone of local International airport Domodedovo in January 2011. Thirty-six people were killed and over 180 injured. In March 2010, the Moscow Metro bombings killed 41 people and injured about one hundred.